3 countries in one day? Possible? Impossible? 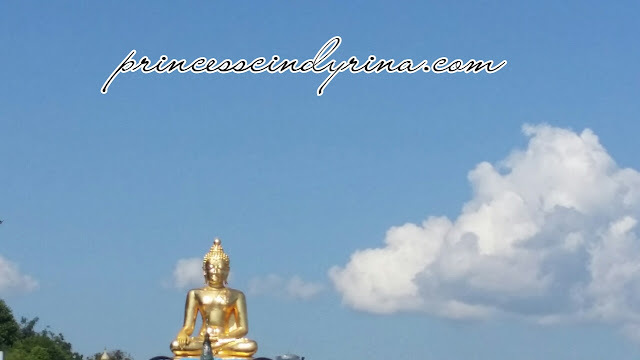 Thailand , Myanmar and Laos - Golden Triangle ! 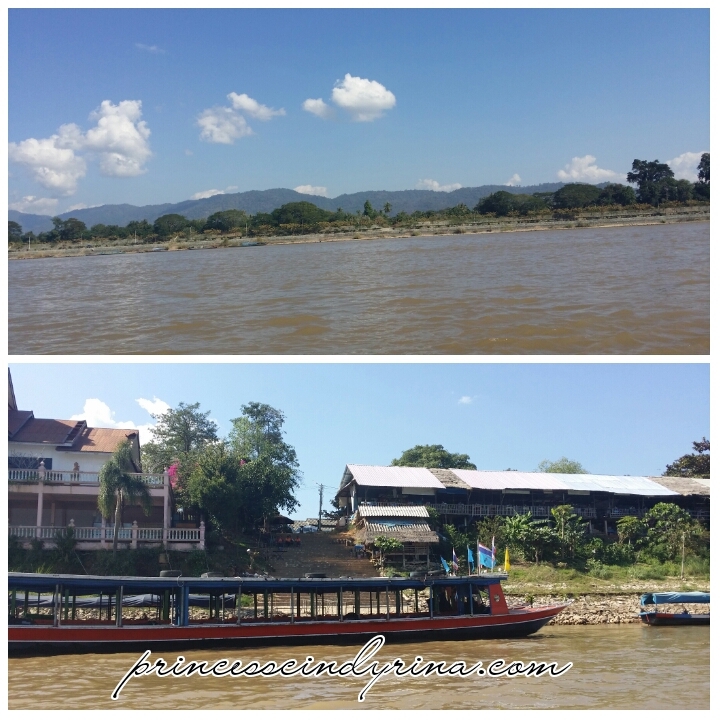 I even cross over to Laos by boat. DAEBAK! 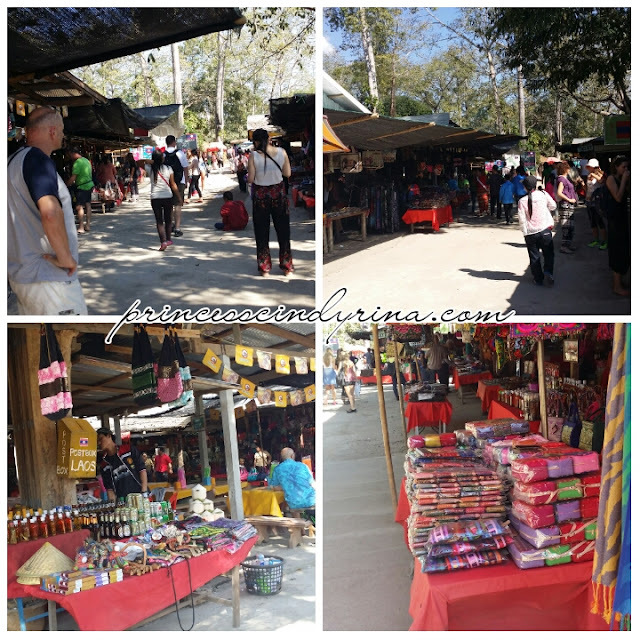 According to history this Golden Triangle has been well known for the opium growing and nowadays this place are famous as largest tourist trap in northern Thailand. To reach this place you need to take mini van for around 3 1/2 hours drive from Chiangmai City to Mae Sai. The landscape is hilly and divided by Ruak River that flows into Mekong River. These rivers then form a natural boundary like a Triangle shape between 3 countries LAOS - to the east of Mekong, MYANMAR - to the north of the Ruak and THAILAND - to the west of Mae Khong. 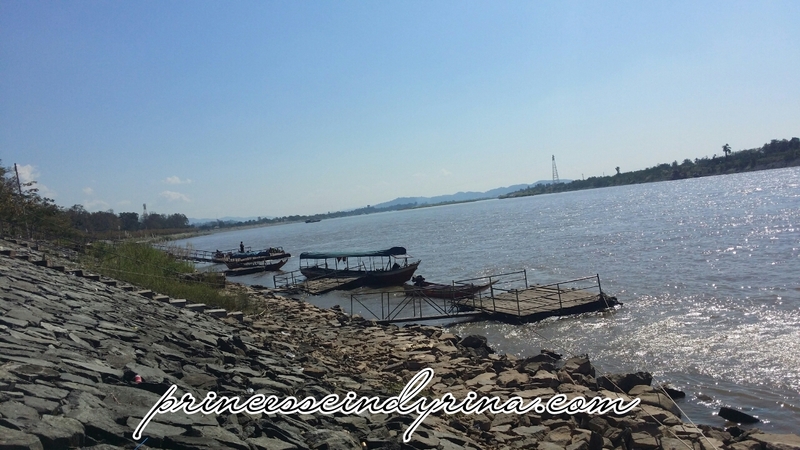 I took a boad ride across to a small island Don Sao, which in Laos. You don't need visa to go to this Island but you still need to bring passport. From Thai riverside sits a huge Golden Buddha Statue. Thats the view from the boat over look the Thai riverside. 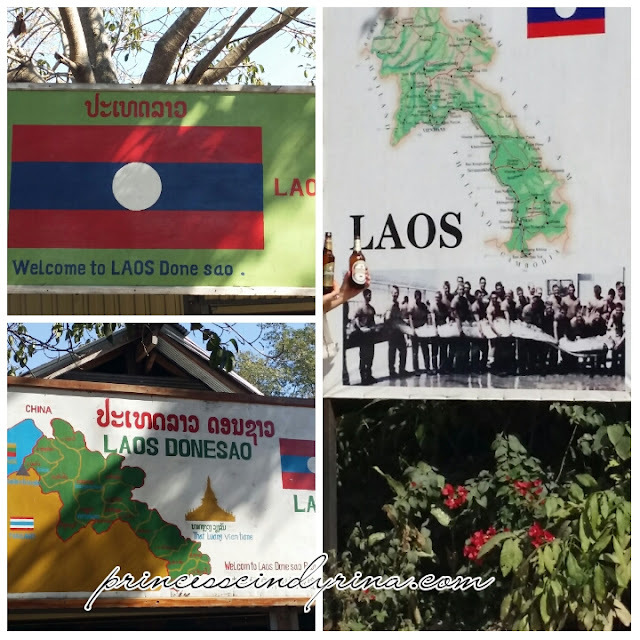 Here we go...Laos by just 10 - 15 minutes boat ride from Mae Sai, Thailand. 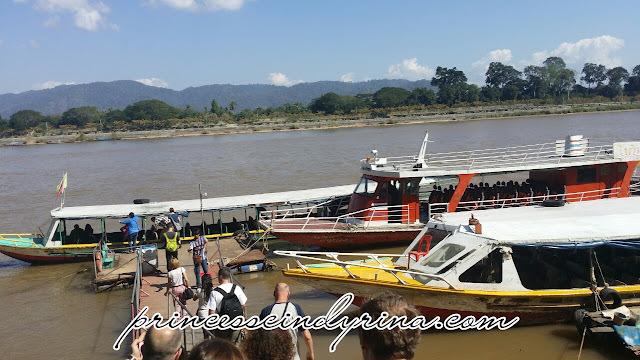 See the photo top right, the show photo of people caught Narkha, on type of big creatures from Mae Kong river. Scary huh? Oh! 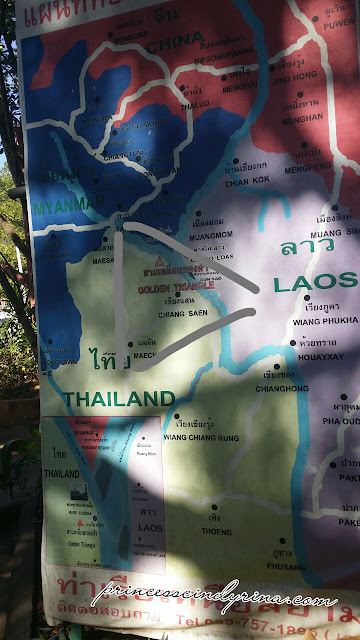 if you think you can cross over to the rest of Laos with through this Island. Try laaaaa...maybe end up in Laos Prison, who knows...kekekekeke then can be famous by writing a book in Laos prison. I don't like it much here... Loas kids here asked for money. They are not even begging. Its like a MUST give. Guess they may grown up become a thug if this continues. They are not mild kids like in Seam Reap and others. They are more aggressive. Scaryyyyy!!!! Thank God ! I don't look foreign to them so they just disturb the 'Ang Mo'. Ngeeeeee..lucky me. 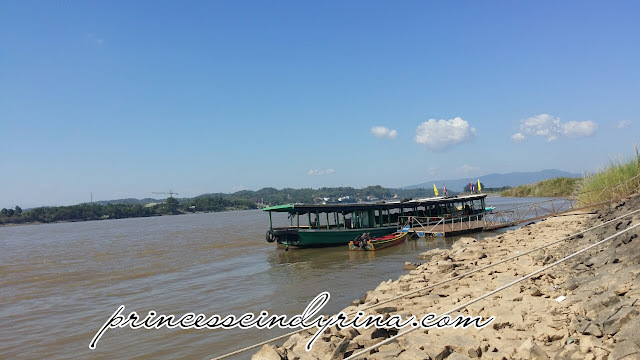 There you go my look look see see from Dan Siao Island, Laos. The weather is freaking hot. I don't even eat lunch yet. Its almost 3pm. WTH!!!! 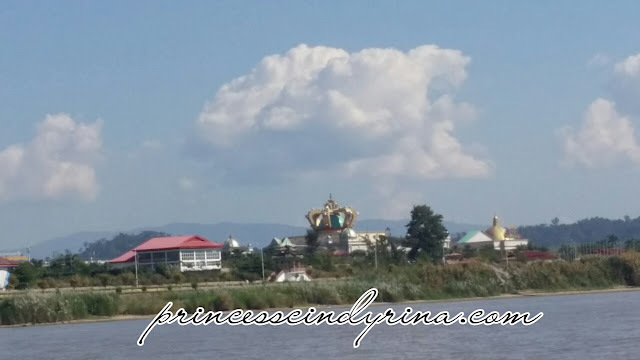 There is another Casino in Thailand which own by Myanmar too which I couldn't snap the photo. 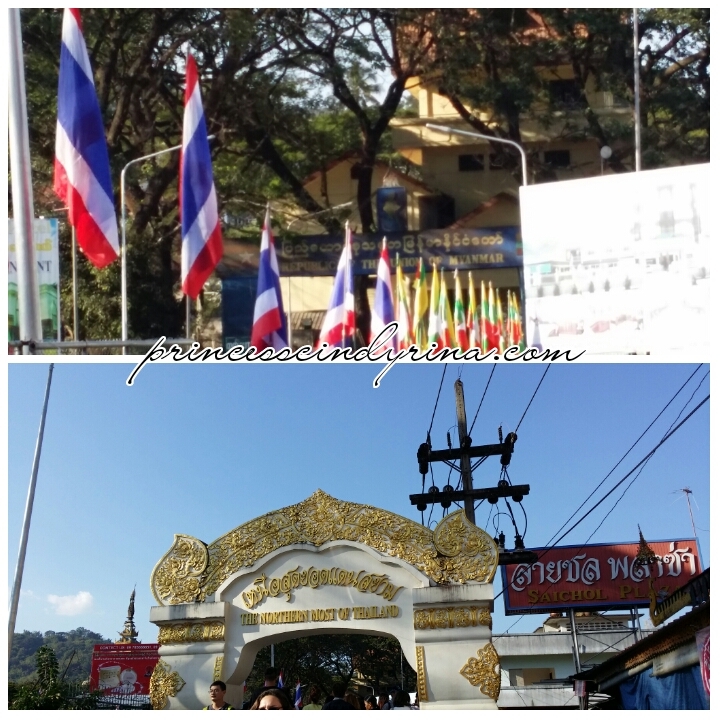 From Mae Sai, drive another 20 minutes which we reach to this small town with Myanmar influence. We can to the bridge and Myanmar is just in the other side. It just a short bridge. Can you cross over to Myanmar through that bridge? Try lorrr! Then tell me your story. This is so interesting! Didn't even know this exists! Thanks for sharing! I have been to the same place! Wow i didnt know about this piece of land, I have been to Thailand and Laos, i would love to do that as well. Thanks for sharing, i will look up visa requirements, maybe if you are not from ASEAN countries you might need visas. Wow very much intrigued to see how it looks. Wow! Didn't know these 3* places we're that close to each other lol, definitely saves time if you want to cover more places in a short period. Three countries in a day sounds like very rush. Tiring too, if you have to lug with you heavy luggage. wow all 3 countries in one day! would love to try this one day!! 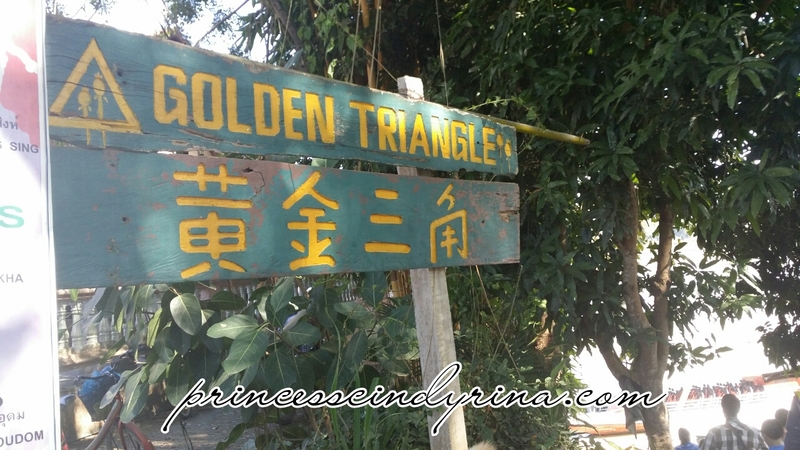 Gonna plan my visit to this plan after my Japan trip! Love how you visit so many country in just 1 day! Been wanting to visit this place! And looks fun to cover 3 places in a day! Wow 3 places in one day. Must be so tiring when travel. Interesting, 3 countries in one day, sound like mission impossible for me. Because I don't really like rush trip, especially personal trip..
Wow you can cover 3 countries in a day. Awesome la. I am going to Cambodia soon.